Plush Of The Month Club! 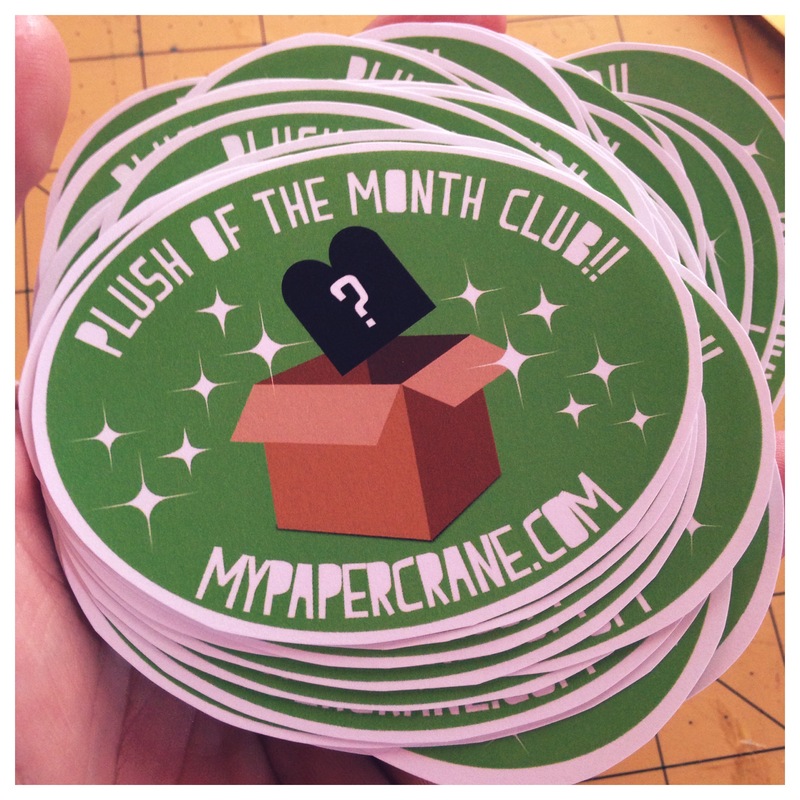 I’m very excited to announce the launch of my Plush Of The Month Club! Subscriptions for August’s “soft opening” will open on Friday July 25th. For the first month I am only opening 30 subscriptions. 15 available at 8am EST and 15 more at 8pm EST. For September I will open up 20 more spots, so the club will be able to have 50 subscribers, and we shall see how it goes from there! So what is the Plush Of The Month Club? For $30 a month($35 outside the USA) you will get a surprise box each month with a special handmade plush, most months this will just be one intricate/more advanced plush, but some months this may mean a few plush items. These plush will be limited to the club only, and will only be sold otherwise if I have extra back subscriptions to sell. Your first month’s box will also include a welcome kit with membership card, and every month the box will contain a few small surprises like special pin backs, stickers, little comic/zines or candy, all things specially made especially for the plush of the month club! Subscriptions will be through paypal and automatically re-bill on the 25th of each month. Boxes will always ship out on the 1st of the following month. For example: You are billed September 25th for a box shipped October 1st. Subscriptions for month one will be available here on the blog since Bigcartel doesn’t have a way to use paypal subscriptions at this time. You’ll be able to cancel your subscription at any time via paypal. If your account has already been billed you can get a refund if your box has not shipped, once the box is shipped you will not be able to have a refund for that month. Tagged my work, plush of the month club. Bookmark the permalink. 13 Responses to Plush Of The Month Club! i’ ll pray to get one !! ^^! Oh my goodness, Heidi…this sounds wonderful!!! How will we be able to subscribe? Via your shop website? I can’t help but to think of Kristi. She would have loved to have had access to something like this! I hope it goes well for you!!!! Jennifer, Oh gosh that makes me smile to think of Kristi, I’ll always be so grateful that I was able to meet her, she really seemed like such a sweetie! No joke, I just circled the date on my calendar so I don’t forget. Hopefully I’ll score an opening. Oooh, I have to add it to my phone, too (an obnoxious sound will definitely keep me from forgetting!). What a wonderful idea, I am so for this! I am setting multiple alarms and reminders now! JLVErde, awww thanks so much! :O) I appreciate the excitement! This is so awesome. I’m hoping I’m able to get online that day!! thanks Megan :) Im excited! I can’t wait!!! Alarm set! How will we be able to sign up?! So exciting! I’m gonna wake up at 5am with fingers crossed!!! Jamie, haha looks like you got one?